Our database now contains whois records of 310 Million (310,070,976) domain names. Whois API is a hosted web service that returns well-parsed WHOIS fields to your application in popular XML & JSON formats per HTTP request. 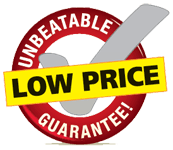 Leave all the hard work to us, as you need not worry about the query limit and restrictions imposed by various domain registrars. Signup for a free account and start accessing the Whois API today. Simple add "&format=xml" to any of your API calls and get results in XML Format. In case of Status 0, the reason behind the failure of the API call will also be returned. Can I use HTTPS? Yes! Simply replace the "http://api.whoxy.com/" part in API URL to "https://api.whoxy.com/". Can I make API calls from my HTTPS website? Yes, you are free to call the Whois API from any HTTP / HTTPS website, APP, or through your software. Which domain extensions (TLDs) do you support? Please check the complete list of TLDs (gTLD & ccTLD) supported by our Whois API. Is there any caching of WHOIS data involved? No! 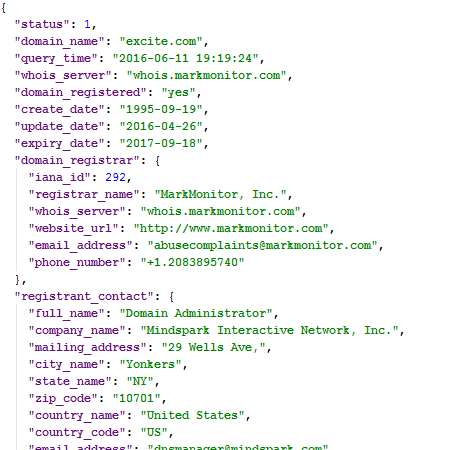 Every time you make an API call, we fetch live data from the respective whois servers. Am I charged any API credit if a domain's WHOIS is empty? 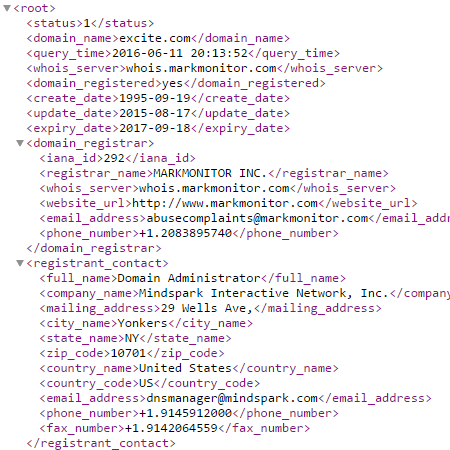 Yes, you are charged a single API credit even when the domain's WHOIS record is empty. This normally happens when you try to fetch the WHOIS record of a domain name which is not yet registered. However you won't be charged any API credits if our system is not able to connect to the WHOIS server or when there are some errors in the WHOIS data received. In this case, you will receive an error message "Whois Server Connection Failed" or "Invalid Whois Data Received" respectively. Will I get the Raw Whois data? Yes! Raw Whois text will be included along with the parsed WHOIS fields. Can I get a free trial to test the Whois API? 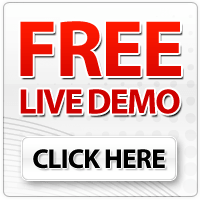 Please signup now and receive FREE API Credits to test the Whois API.